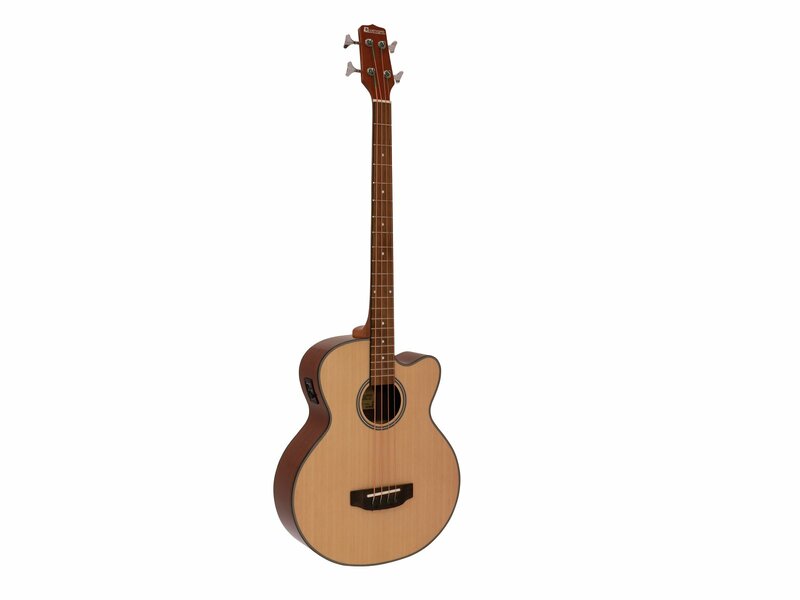 Are you looking for a robust and cleanly manufactured acoustic bass with honest, powerful sound at a reasonable price? The Dimavery AB-450 is the right choice for you! and this can only be achieved with solid materials: the Agathis body gives your instrument its characteristic warm basic sound. The spruce top provides brilliance and a clearly defined attack. The neck is made of Nato wood and a rosewood fretboard with 24 precise frets. This combination produces a pleasant warm tone with very good sustain and touch characteristics. 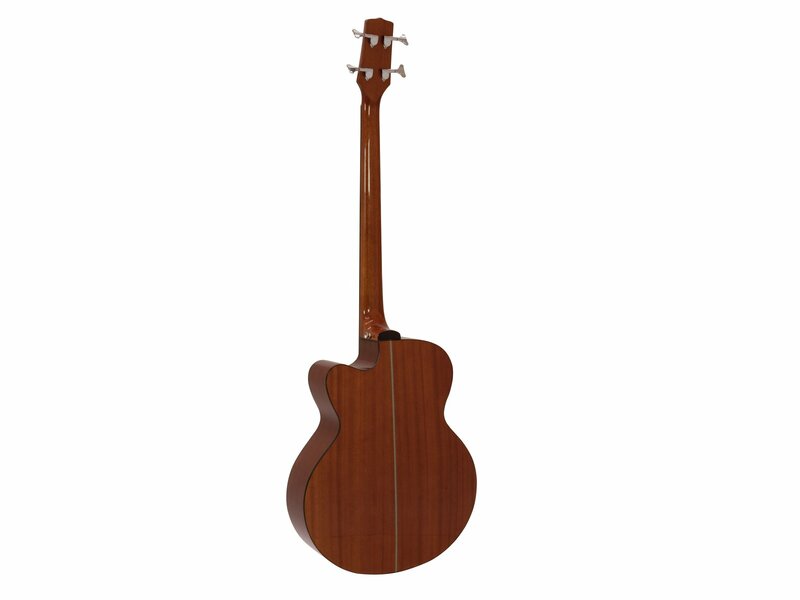 The binding along the body, the sound hole and the fingerboard gives the bass its attractive appearance. From the smooth-running and precisely adjustable tuning mechanisms to the firmly screwed jack socket: The hardware is convincing all along the line. Adjust the neck curvature with the strings stretched. 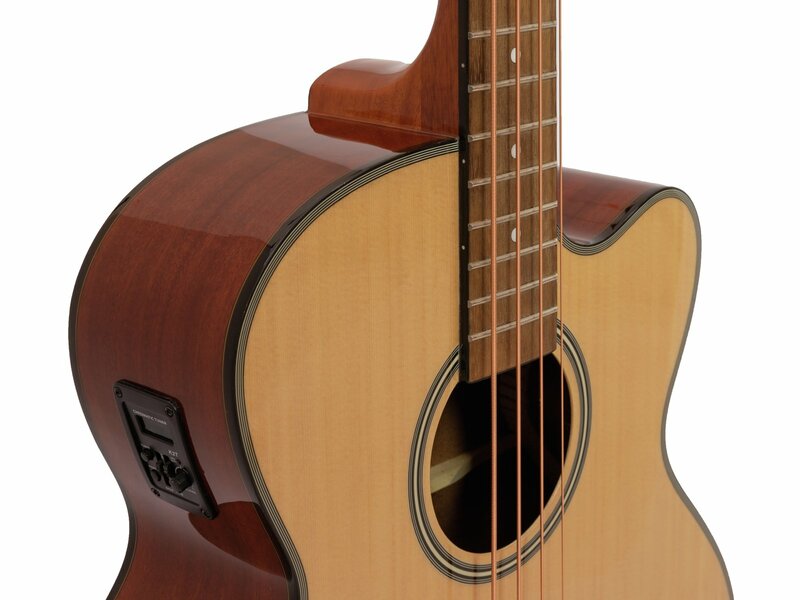 The neck adjustment screw is located under the top edge of the sound hole. The AB-450 also features a preamp with 3-band equalizer. It convinces with a powerful, clear sound and easy handling thanks to the center raster of the controls. The Piezo pickup is integrated in the bridge and works cleanly and with very little feedback.